Kevin Emanuel is charged with murder in the stabbing death of a co-worker at Philadelphia International Airport. A 35-year-old Overbrook man who worked at Philadelphia International Airport used his keys to fatally stab a co-worker inside an employee break room Thursday following an argument about turning on the lights, police said Friday. Homicide Capt. 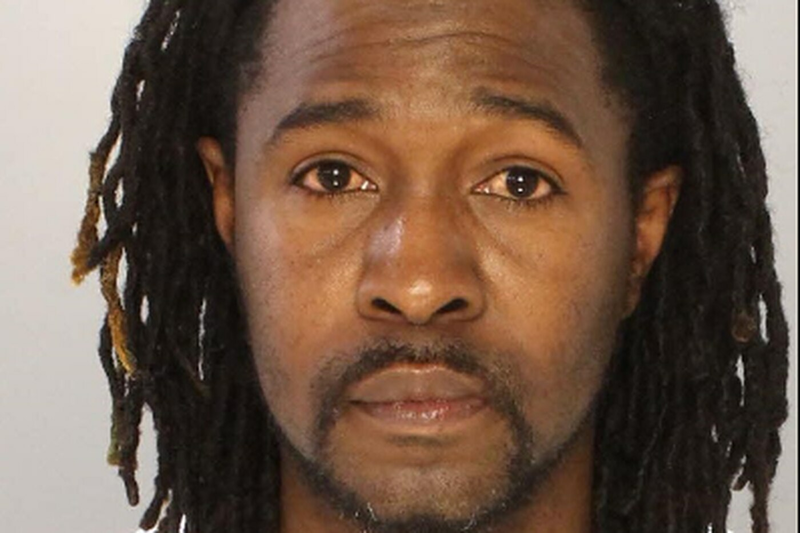 John Ryan said Kevin Emanuel of the 2100 block of Hobart Street is charged with murder and possession of an instrument of crime for allegedly plunging his keys into the thigh of Aaron Jenkins, 28, of the 100 block of West Roselyn Street in Olney. Jenkins died from his injury. Jenkins, according to Ryan, had broken up a scuffle between Emanuel and another man who had been arguing about the break room lights in the Terminal E room. When the fight subsided and the other man — whom Ryan did not identify — left to speak with a supervisor, Emanuel and Jenkins started fighting, an altercation that ended when Emanuel stabbed Jenkins, striking his femoral artery, Ryan said. Police responded to a radio call at 11:01 a.m., and Jenkins was taken to Penn Presbyterian Medical Center, where he was pronounced dead at 11:51 a.m., police said. Emanuel was taken into custody by airport police. The three men were employed by Worldwide Flight Services cleaning planes for Frontier Airlines, and the stabbing took place in a room not accessible to passengers, police said. Jenkins had worked for the firm since 2015. Airport CEO Chellie Cameron issued a statement Thursday saying the airport was cooperating with police in the probe. "Our thoughts are with the family of the deceased," the statement said. "The safety of everyone in our airport community is our top priority. No passengers were involved or harmed in the incident and no flights have been affected." Richard Oliver III, a spokesman for Colorado-based Frontier, issued a statement saying: "We've been made aware of an incident involving employees of Worldwide Flight Services (WFS) at Philadelphia International Airport. The Frontier Airlines family is saddened to learn about this event and our hearts go out to those touched by the tragedy. We have reached out to WFS to assist them in any way possible as they deal with this incident." In a statement, Worldwide Flight Services said, "Our thoughts and prayers are with the victim's family and our priority is to give them our full support as well as the employees who witnessed the incident. "We wish to acknowledge the quick response of the police and local authorities and will, of course, assist them fully in their investigation," the statement said.